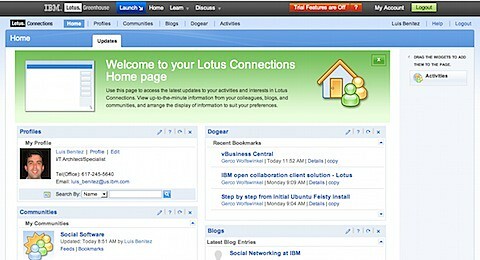 Socialize Me: Lotus Greenhouse is on Connections 2.0 -- woo hoo! Lotus Greenhouse is on Connections 2.0 -- woo hoo! I just happened to go to the Lotus Greenhouse today and noticed that they have 'upgraded' the environment to Lotus Connections 2.0 Beta 1. WOO HOO!! My customer just said: "I like that"
My migration to a Mac - successes! Blogs don't cease to amaze me!